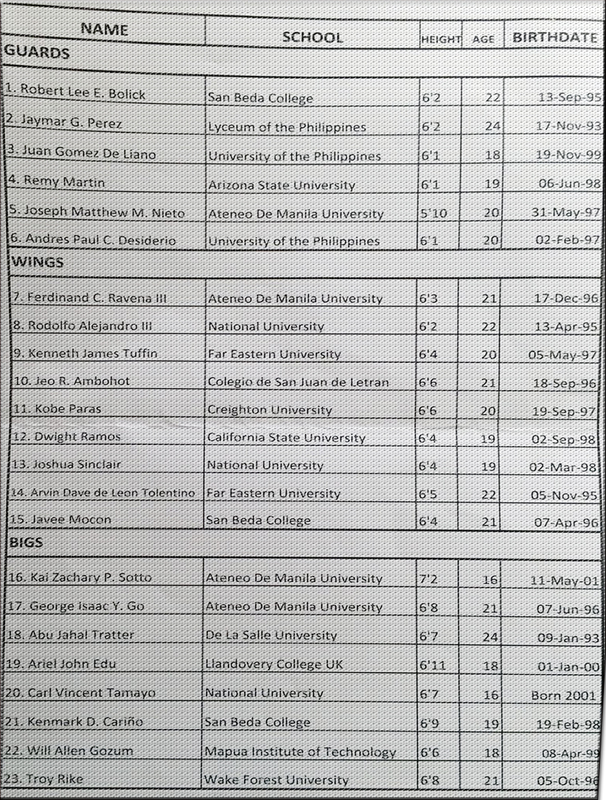 Home Chot Reyes Gilas Pilipinas Kai Sotto Kobe Paras Ravena Chot Reyes' Initial list of possible players for Gilas Pilipinas in 2023. 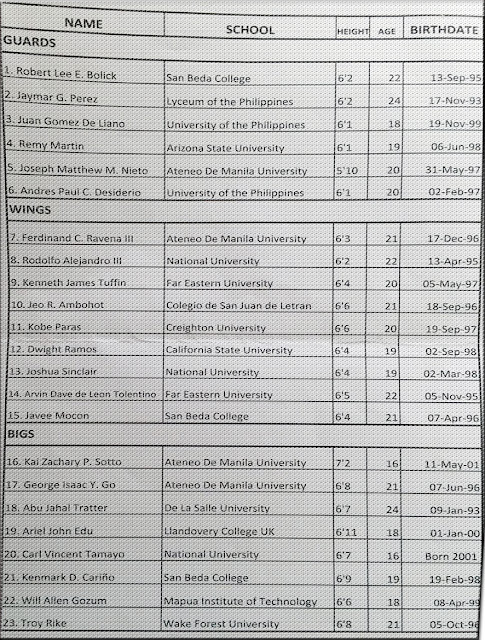 Chot Reyes' Initial list of possible players for Gilas Pilipinas in 2023. Chot Reyes posted on Instagram: "By no means final but for now..."
Might also like:- Philippines, Japan and Indonesia will host the FIBA Basketball World Cup in 2023! - FIBA Basketball World Cup 2019 Qualifiers: Gilas Pilipinas Stats Update!